Beamdog, the developer/publisher that brought us the remasters of classic Dungeons & Dragons titles, including Baldur's Gate, Planescape Torment and Icewind Dale, has again partnered with Wizards of the Coast. This time, to bring us an all new Axis & Allies board game on Steam, Axis & Allies Online. For those who haven't played Axis & Allies before, it's considered to be one of the finest board game representations of World War 2 that has been created. It's a little like Risk, only with a slightly more in-depth ruleset, making it still accessible for a wide audience, but also something that strategy game fans can sink their teeth into. We don't have any screenshots or visuals of Axis & Allies Online, thought we're told that it will be released as a Steam Early Access title in the near future. For board game purists that are familiar with Axis & Allies, we're also promised that it will be a "loyal implementation of the 1942 Second Edition ruleset." Despite the name, it will be playable offline and will support five players, be they humans or AI. This is exciting news. 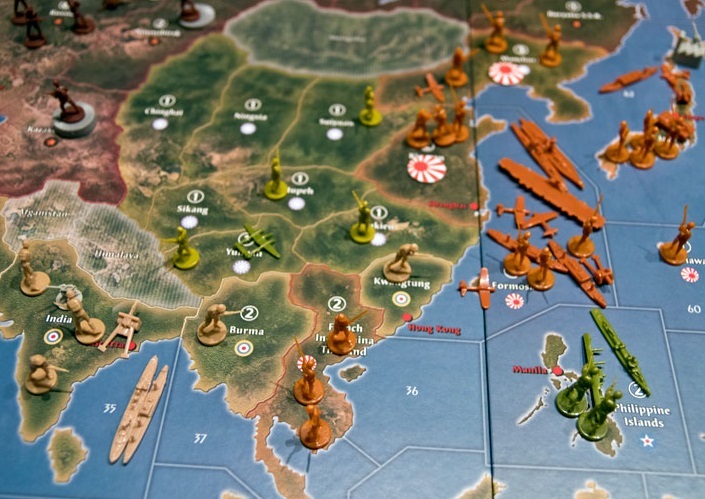 Of course, digital board games are dime-a-dozen these days, but many hold a special reverence for the way Axis & Allies works. Now if Beamdog will support expansions down the track, and they add on the more recent - and hilarious - Axis & Allies & Zombies, that would be just great.